LuvMyRecipe.com does not intentionally publish copyrighted material. LuvMyRecipe user content is submitted through our recipe form from the LuvMyRecipe visitor and subsequently published on LuvMyRecipe pending spam review. The recipe is the user’s own recipe and is published as submitted to our website. If you believe there is a copyright issue with one of the posted recipes or recipe images, please contact us via our contact page. Please put “Copyright” in the subject line so the contact goes to the right correspondence. Link to article at LuvMyRecipe you are referencing in your correspondence. 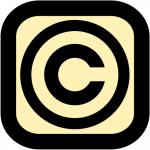 Copyright Material reference or link you believe to be infringed upon. Are you the original author or publisher? If not, who are you representing? Any proof or providence to support your case or issue.